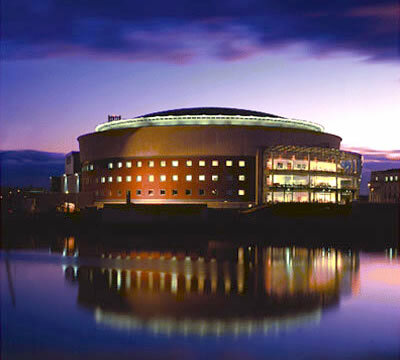 Belfast Waterfront Hall has been designed as a multi-purpose venue with ultra-modern facilities to accommodate business, conference, arts and entertainment events. 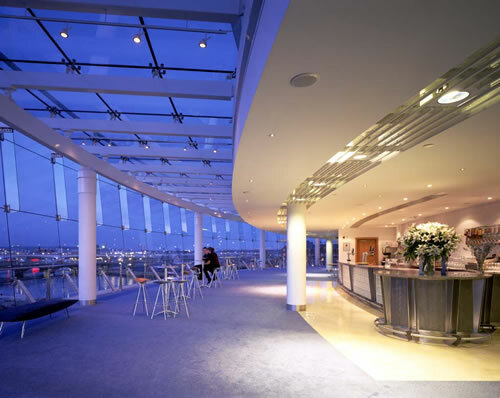 The Waterfront Hall is a landmark in Belfast's prestigious Lanyon Place development which also includes a 200 bedroom Hilton International Hotel. But it's much more than simply a state-of-the-art conference and concert centre - this outstandingly designed building encapsulates a vision for the city's future - its aim is to be a true centre for excellence. The Waterfront Hall's copper-domed roof dominates the prestigious Lanyon Place development. 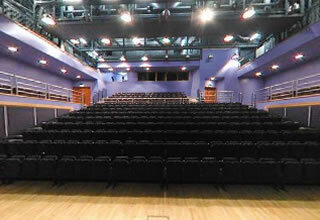 The Auditorium can seat from 380 to 2,245 people in comfort. An elegant interior has state-of-the-art facilities and hosts international conferences as well as entertainment spectaculars. 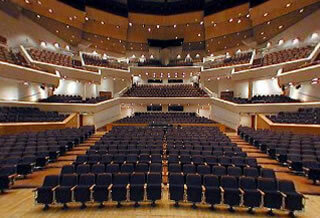 In the air conditioned Main Auditorium the tiered seating provides uninterrupted views of the stage, whilst seating at ground floor level is entirely removable or can be arranged in a variety of configurations. Superb facilities include comprehensive sound, lighting and suspension systems, and purpose-built projection, broadcasting and recording rooms. No less than 14 meeting rooms in the business centre are furnished and equipped to a standard suitable for the most prestigious broad meetings, seminar or corporate hospitality event. The Waterfront Hall is close to the city's airports, ferry terminals, railway stations and motorway links. The experienced Event Co-Ordinators will ensure that the level of service is second to none. The Auditorium can seat from 380 to 2,245 people in comfort.